The car seems quite bulky in size at first sight and even doesn’t look so attractive, giving the resemblance of old cars like Ford Endeavour. The car possesses flat, simple and muscular looks. The price of the car is bit on higher side costing 11 lacs approx. but proves worthy in many aspects. The car having seating capacity of 6-7 persons makes it easy to travel for big family. As the name resembles the Force One is ready eat up the roads forcefully. The lack of few common safety features in the car is a shocking factor. The recently launched car doesn’t have much to say but still the Power packed new SUV has following key features. The exteriors of the car are quite impressive consisting flat curves, simple and muscular looks. The car looks gives the resemblance of Ford Endeavour. The Car looks a bit too heavy and bulky but i like its taller structure and masculine looks. Big head lamps, front radiator grille and amazing styling are really eye catching. The car is available in 5 different types of shades like Intense white, Robust Blue, Emphatic grey, Bold Black and Fierce red. The lamps are so designed that they are very useful in bad weather. The body coloured bumpers are very different which makes it distinct from its competitors. Overall the exterior features are capable to impress users. The interiors are not so attracting as compared to its exteriors and its price which is on higher side but still there is lot in it. The car possesses plenty of space and has seating capacity of 6-7 persons. The seats are very spacious and deliver best comfort along with long and high roof. The Front din and wide dashboard is a really amazing feature. The height adjustable seats provide very good comfort especially in the long journeys. The car has good leg space and boot space but the leg room of the rear is a bit short. The car is equipped with advanced audio system, AC controls and much more common features like ash tray, sunglass holder etc. The 2.2 L diesel engine is assembled by highly engineering skills and is equipped with FMTech Daimler technology. The engine possesses displacement 2148 cc which is capable of providing average mileage of 12 kmpl which is less for the Indian roads. The engine is designed in such an effective and responsive manner that it is ready to take over the roads. The fuel tank has good capacity of 70 L.
The car gives very good performance in the city or even at highways. The car is capable in reaching the distance of 100 kmph in just few seconds. As the car has recently launched so there is not much to say over its performance. The car is quite is worthy even at such price and fulfills many expectations of the market, the lack of good mileage and astonishing looks is not a great issue. 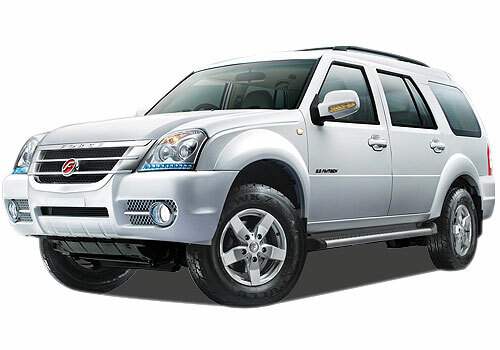 The successful competitors for the car are Mahindra Scorpio and Tata Aria. It is best for long family members and also good for business people. The exterior of this car is deadly nice. It would be first passenger car.